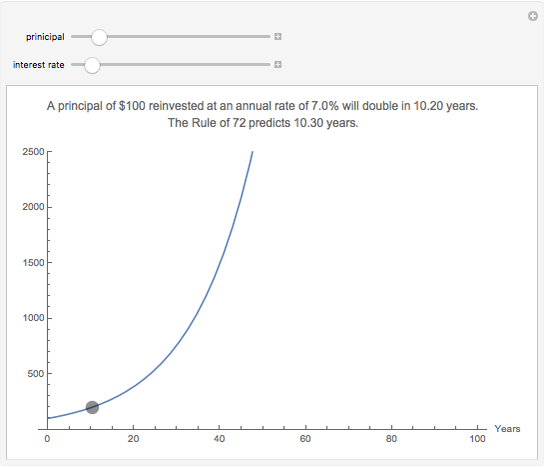 The Rule of 72 approximates the time for an investment to double by dividing 72 by the interest rate. 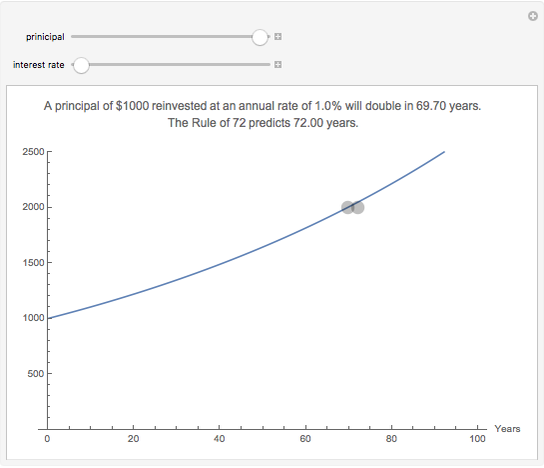 For example, it takes about 72/9 = 8 years if the annual interest rate is 9%. 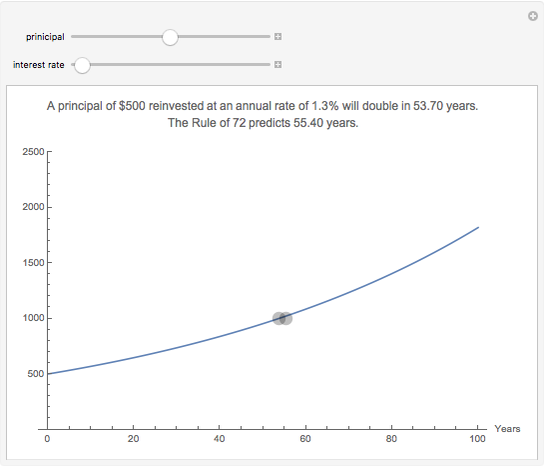 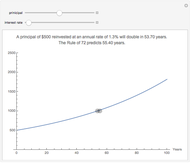 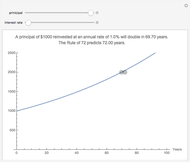 Compare the actual doubling time with the estimate provided by the Rule of 72. 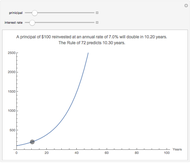 Nilay Gandhi "Rule of 72"